The original building with its Art Deco touches was maintained as a facade at streetlevel to this mixed use development. 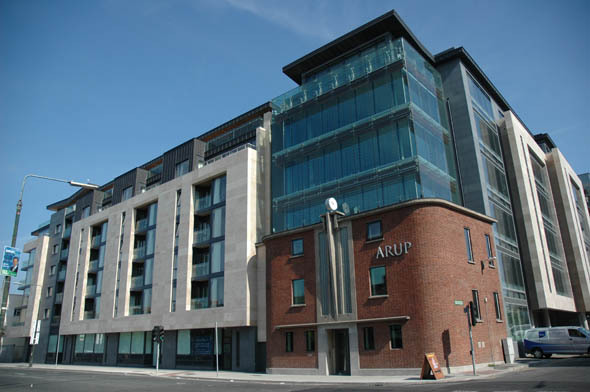 Built as a speculative development, Arup Consulting Engineers took over the office accommodation for their Irish headquarters. 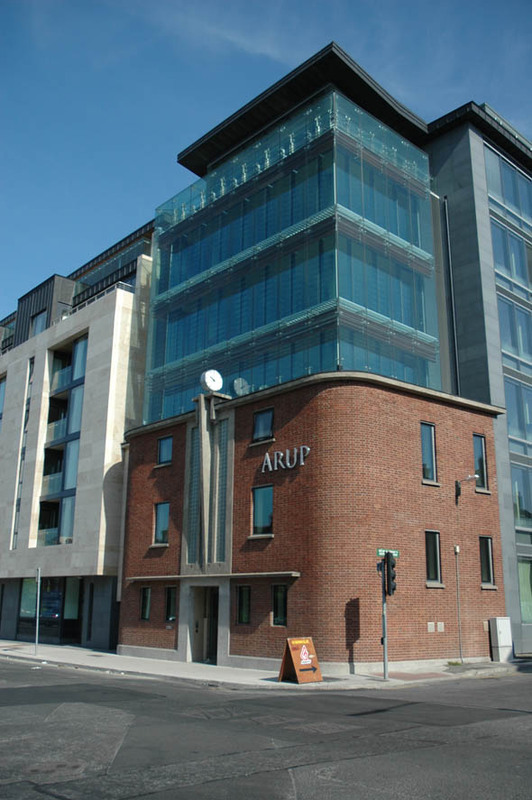 The building features a triple glazing skin system which is connected to the building management system to help prevent solar gain.